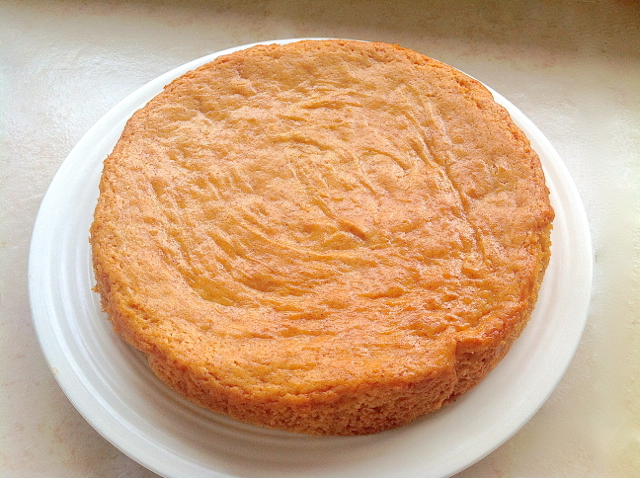 Wondering what to do with the left over Ricotta cheese? 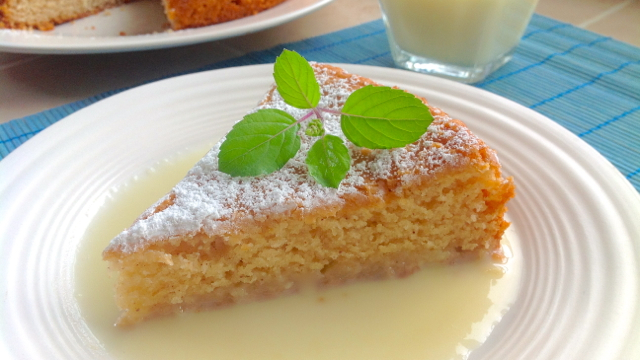 Try this wonderful cake drenched in a sweet milk sauce! First preheat the over to 375F/190C. 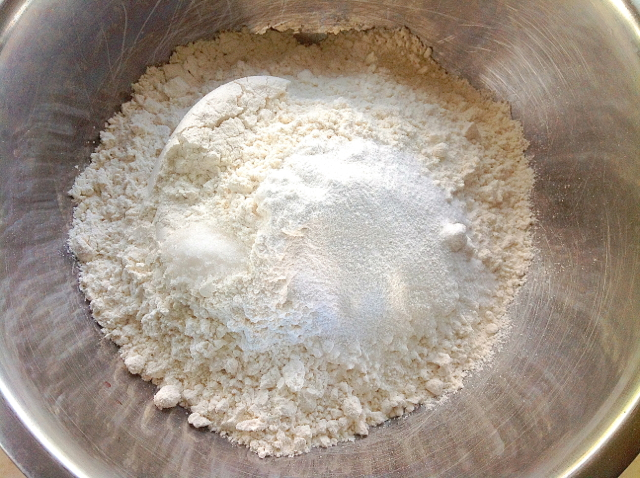 For the cake batter, combine the flour, baking soda, baking powder and salt in a mixing bowl. Then mix all together until nicely combined. 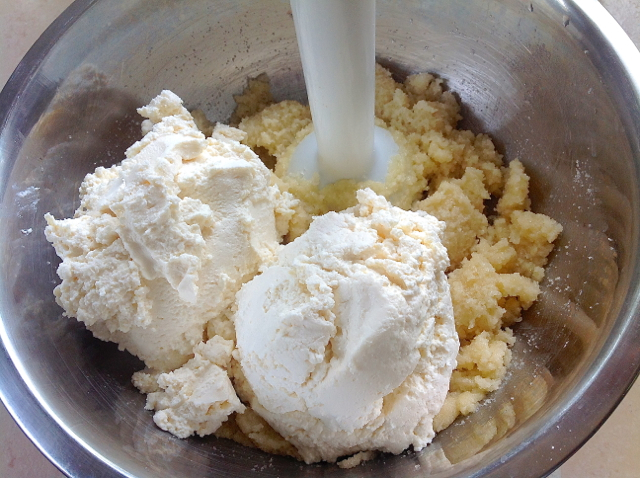 Then in a separate mixing bowl combine the butter and sugar and mix together. 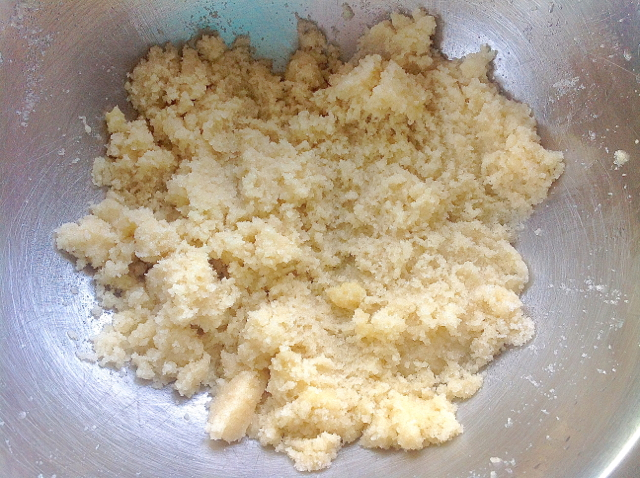 Then add the ricotta cheese and lemon/lime juice. 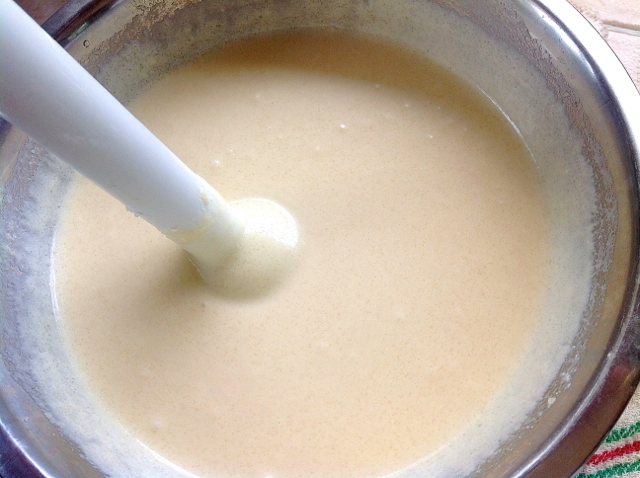 Using a hand blender, blend all the ingredients together until smooth. 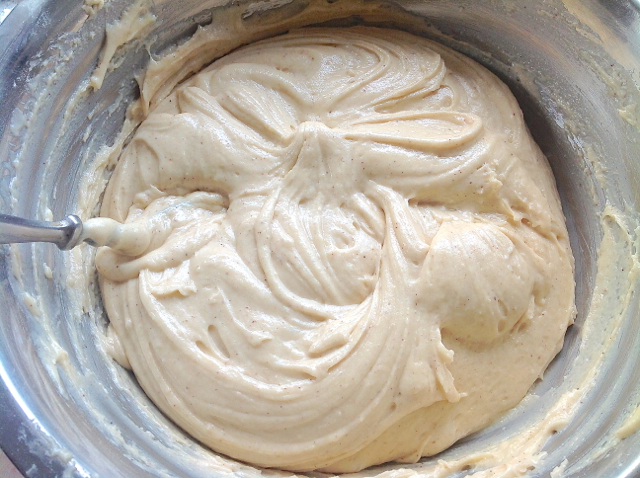 Then add the flour mixture to the wet mix and stir all together until you have a nice thick cake batter. Oil the baking dish generously. Or, you can use some foil like I did here. 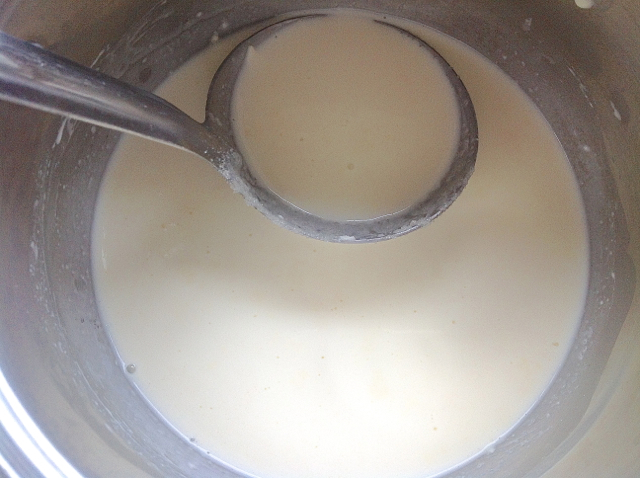 If you use foil, then also oil the foil before pouring in the batter. 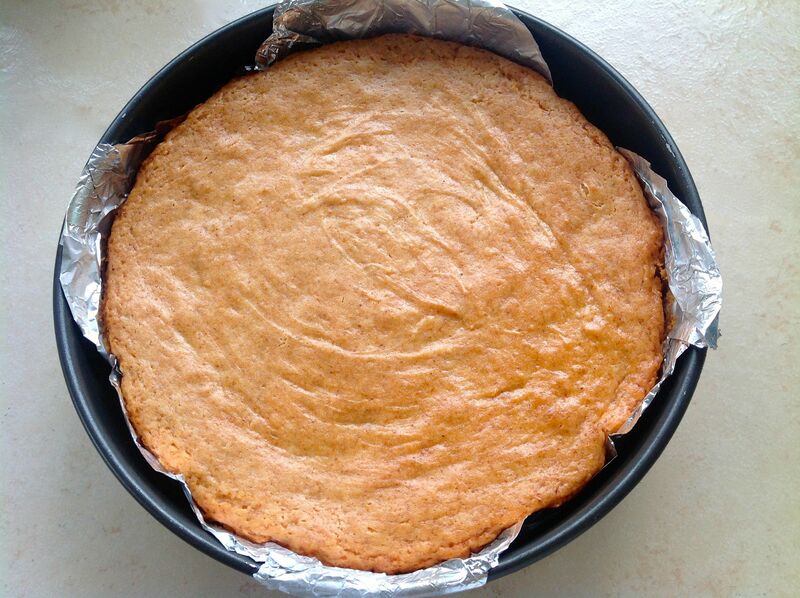 Cook in the oven for 45 minutes or until the cake has formed a nice golden color crust like this and the knife test comes out dry. 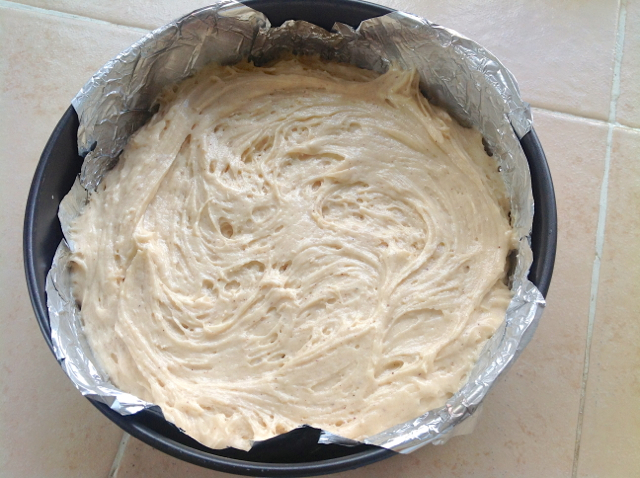 Let the cake cool for about 15 minutes and then remove the cake from the baking dish. 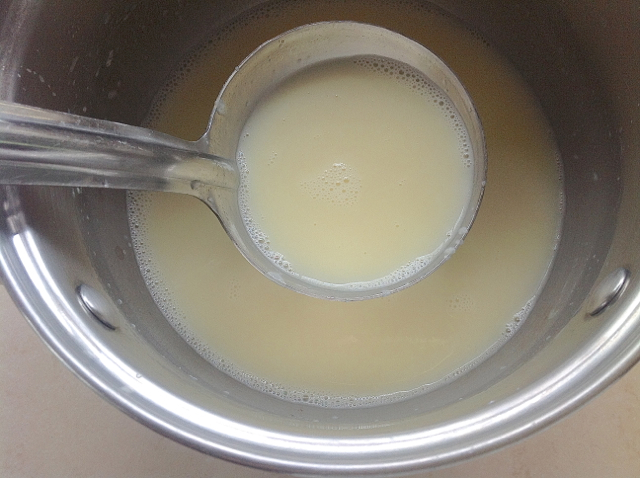 Cook just until the sugar has completely dissolved and you are done! 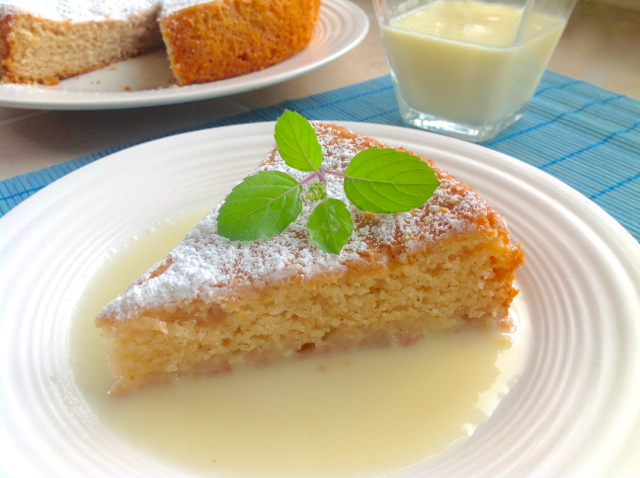 Slice a piece of cake and pour the sweet milk sauce all over leaving a puddle and allow the milk to absorb in the cake. Now you are ready to offer to Kṛṣṇa with love and devotion!